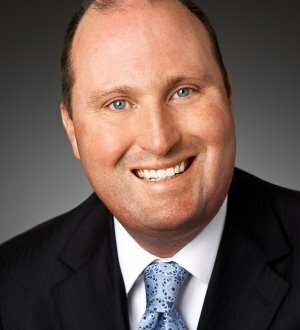 Brock Denton is co-leader of the firm's Business Representation & Transactions Group. He represents both public and closely-held corporations in domestic and international mergers and acquisitions; the formation, organization and capitalization of new business entities; organization of joint ventures; advising franchisors and franchisees regarding franchise matters including the preparation of franchise disclosure documents and federal and state franchise regulatory filings; antitrust matters; regulatory and policy matters affecting domestic and international transactions including the preparation of filings pursuant to the Hart-Scott-Rodino Antitrust Improvements Act; venture capital and other equity financing; and general advice regarding corporate and business matters. Brock regularly acts in a general counsel capacity to privately held clients who do not have in-house counsel advising senior management on a variety of legal matters. Brock also serves as outside general counsel for several early stage emerging growth companies, and represents venture capital groups in fund formation and portfolio company investments. Brock has advised clients such as Cintas Corporation, American Financial Group, The Cincinnati Reds LLC, Great American Insurance Company, dunnhumbyUSA LLC, LSI Industries Inc., General Cable Corporation, Meridian Bioscience, Inc., Orchard Holdings Group, LLC, Belcan Corporation, Kendle International Inc., Modern Ice, Jess Jewelry Designs, Inc., Seraphim Ranch, Emergency Veterinary Clinic of Cincinnati, Inc., United Audit Systems, Inc., Freedom Boat Club LLC, and Ferno-Washington, Inc.
Brock formerly served as Chairman of the Hiring Committee and as a member of the Diversity Committee.